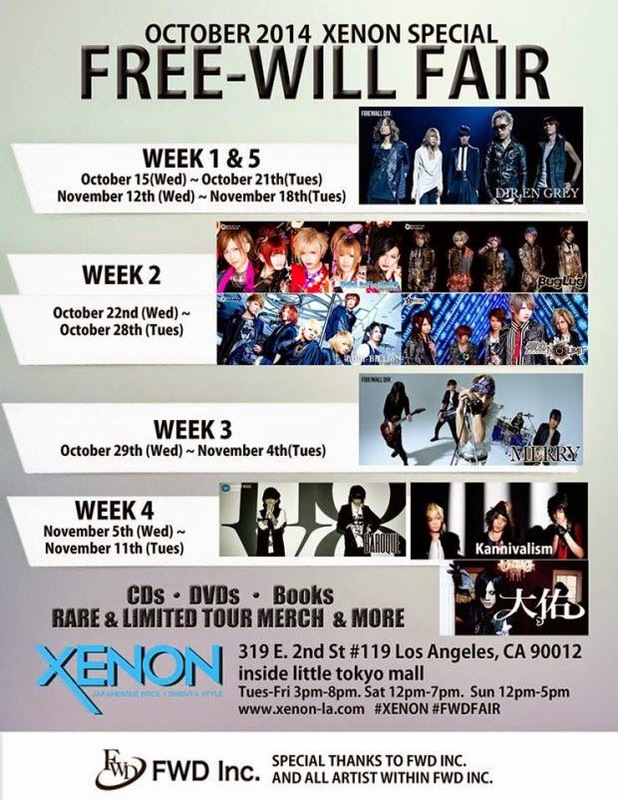 LOS ANGELES, CA – October 13th 2014 – Fashion and Music Shop, Xenon, located in Downtown Los Angeles Little Tokyo Mall, will be holding a fair from October 15th to November 18th for Japans top music label FWD (FreeWill). Beginning with Dir en grey, each week the store will have rare and limited official tour merchandise, CD’s, DVD’s, shirts, and photo books for the fans in Los Angeles. ABOUT FWD Inc.: FreeWill is an Japanese independent record label founded in 1986 by Color vocalist Hiroshi “Dynamite Tommy” Tomioka, with branches predominantly in Japan and the United States, as well as previously in Europe. It also continues to co-manage many of its artists including Dir en grey, Merry, baroque, kannivalism, as well as after they have signed recording contracts with a major record label. 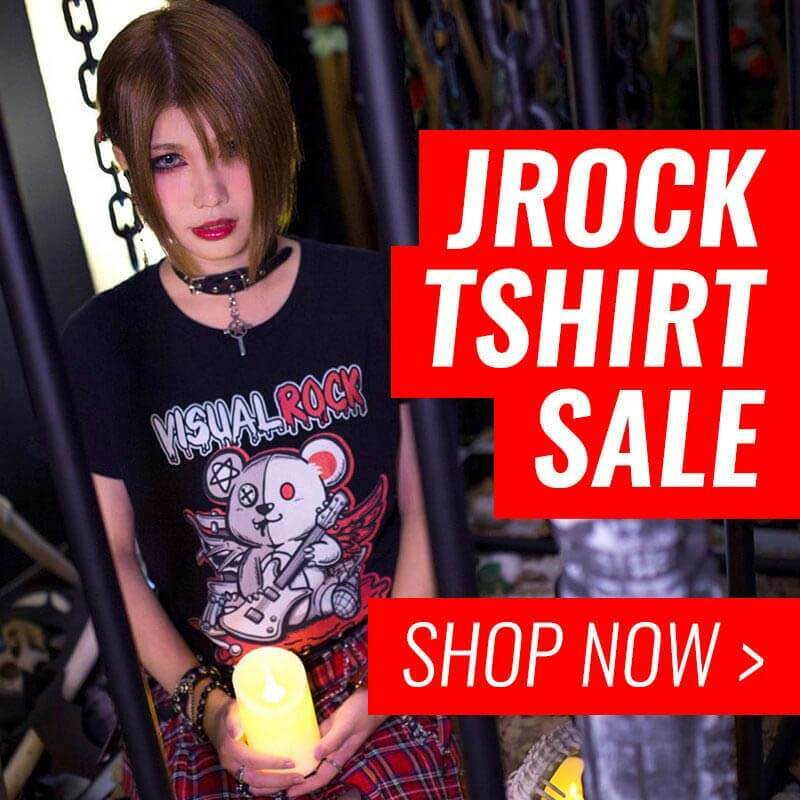 Free Will along with Extasy Records are credited with helping to spread the visual kei movement. FreeWill also produced the 2001 anime adaptation of the long running manga series Grappler Baki. In 2007, the label changes its name to FWD inc. with Fujimoto as its new CEO. Website: FWD Inc.